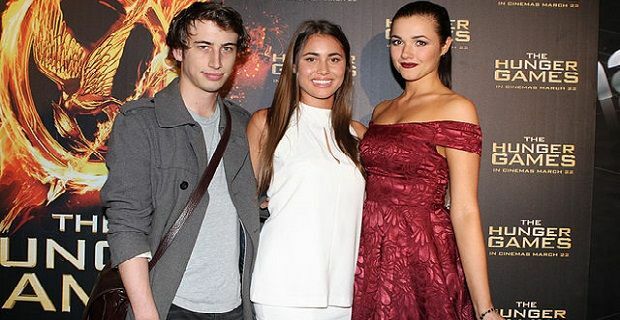 The movie’s full cast turned out in a wet and misery London for the premiere of the second Hunger Games movie which begins with Lawrence’s character, Katniss Everdeen, and Hutcherson’s Peeta Mellark home in District 12 after their victory in the Hunger Games. They expect to live in peace after winning the 74th Hunger Games but their peace is shattered by President Snow, portrayed by Donald Sutherland. A supporting appearance from Philip Seymour Hoffman as Plutarch Heavensbee, the new games maker, and Stanley Tucci, who plays the game show host, will add something fresh to the second instalment of The Hunger Game series, which is released on November 21st in the UK.